Looking for a Acura service center near you in the Spokane Valley, Spokane, Liberty Lake, and Coeur d'Alene, areas? At AutoNation Acura Spokane Valley, we make servicing your vehicle an easy, convenient, and worry-free process. Whether you are coming in for scheduled maintenance, warranty work, or more extensive repairs, you can rest assured knowing your Acura will be in the hands of our TechXperts. 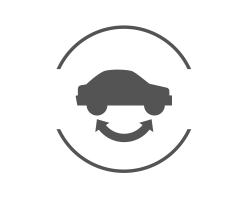 By using only Acura-specific parts, fluids, and equipment in servicing and repairing your vehicle, your Acura will maintain the quality and feel that you fell in love with from day one. To get started you can schedule service online or give us a call at (509) 590-1266, which ever method works best for you. Why Choose AutoNation Acura Spokane Valley? Here at AutoNation Acura Spokane Valley we employ only the most knowledgeable and experienced Acura-certified technicians to service your vehicle. In a way, you can think of our technicians as doctors for your Acura. When you go in for a health checkup, you trust that your doctor has the knowledge and equipment to diagnose and remedy any problem. At AutoNation Acura Spokane Valley our certified technicians take a similar approach in servicing and repairing your Acura. Our Acura doctors are also well-equipped for any task, big or small. 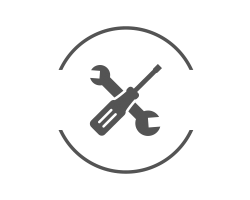 Just like how you would not want some cheap, off-the-shelf equipment diagnosing you at a doctor's office, we do not believe in using generic tools or parts when servicing your Acura. Our expert technicians have access to the latest exclusive Acura software updates, diagnostic tools, and service records, ensuring every vehicle is maintained and repaired in the correct way and to the latest Acura standards. Take a peek inside the "operating room" at AutoNation Acura Spokane Valley, and you will find only the best tools and parts engineered to work exclusively with your Acura. Much like an operating room, we maintain a clean and organized work environment in our service bays. When you have service done at AutoNation Acura Spokane Valley, our database maintains a history of your vehicle's repairs, even if it's as simple as an oil change. Having your vehicle's complete service history on hand helps us determine what is needed next, which is one less thing you have to worry about. While your vehicle is being serviced you can relax in our quiet and comfortable facility, or use one of our available service loaners. You will not find these tools, technologies, and conveniences at any regular vehicle repair shop. Contact us today to schedule your next service. We look forward to getting your Acura feeling like new again! We know your time is valuable. 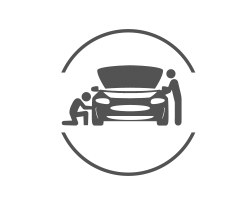 If your vehicle needs more extensive service, or you need to be somewhere else, we can arrange a loaner vehicle for you to use. At AutoNation Acura Spokane Valley, we hope to make servicing your vehicle less of a chore by providing you these convenient options, like checking your tire pressure. You need to rotate the tires on your Acura to maintain even wear from front-to-back and side-to-side. Having your tires rotated at AutoNation Acura Spokane Valley on a regular basis will ensure they last as long as possible.